Empress Jingu (on horseback) – the widow of the 14th Emperor (circa 195 A.D.) who assumed command of the imperial army. During battle she gave birth to Ojin, who was later known as the God of War. At her side is Takenouchi-No-Sukune, her royal advisor. Legend says that he lived for three hundred years. 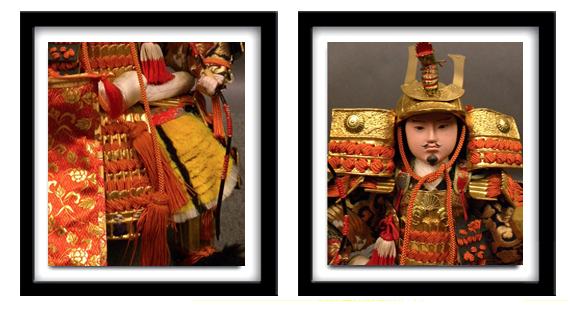 Emperor Ojin (seated below on his wooden camp stool) is dresses in a luxurious brocade under his chased metal armor. 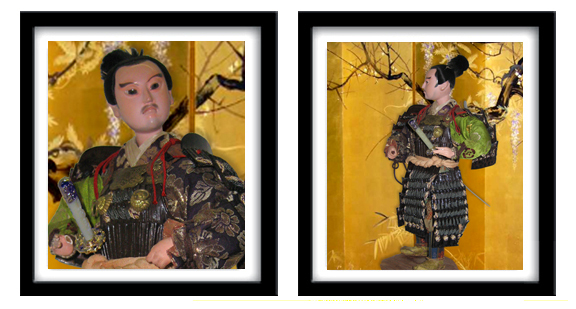 He wears the golden eboshi of a nobleman and in one gloved hand he holds a gunbai (military fan), belying the serene look on his face. General Kato Kiyomasa (right) is the brave warrior who accompanied Hideyoshi on his campaign against Korea. 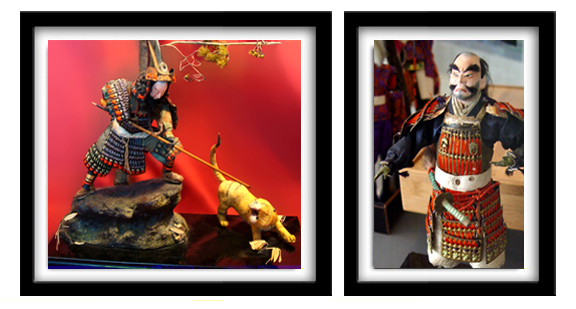 He is often portrayed spearing a tiger, a symbol of Korea, or wrestling it with his bare hands. 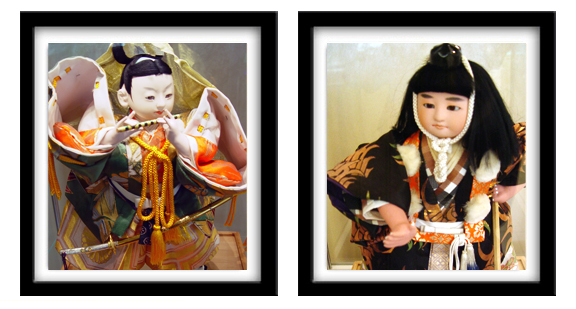 Yoshitsune (left) – according to mythology Yoshitsune was trained in the art of swordsmanship by the Ten-gu demons. Known for his military valor and tendency to thwart authority, he was eventually forced to commit suicide by his elder brother Yoritomo, who later became the first Shogun of Japan. 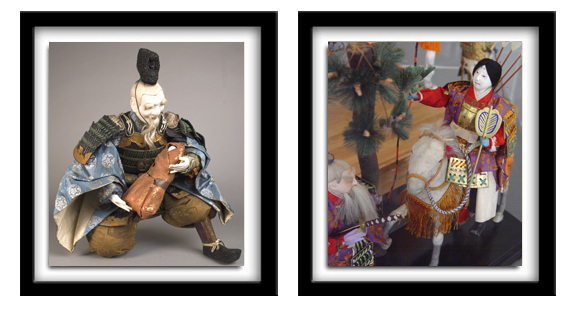 Benkei (right) – was a warrior-monk who disarmed travelers crossing the Gojo Bridge. He had taken 999 swords when he was defeated by Yoshitsune on his 1000th duel and became his faithful follower. 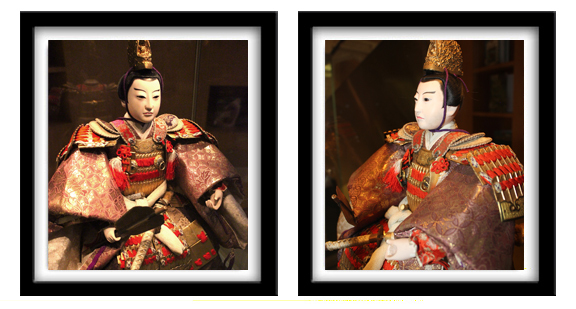 According to legend, Benkei died upright, pierced by arrows while defending his master.